A child services care translator was allegedly stabbed by a grandfather angry over her suggestions he wasn't properly keeping his grandchildren clean. Roseanne Colletti reports. 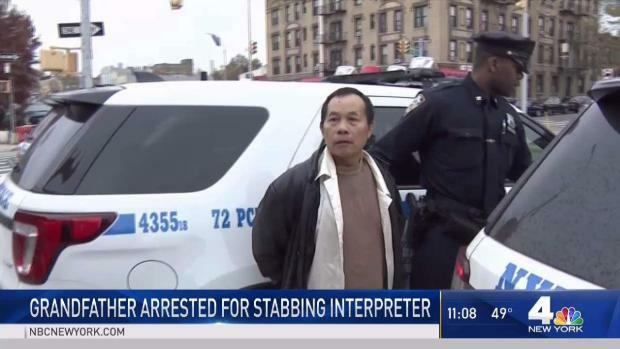 A 61-year-old Brooklyn man is under arrest for allegedly stabbing an ACS translator in the back after suggestions his grandkids may have been dirty. Police arrested Quanyi Feng, of Sunset Park, on charges of assault and tampering with evidence (for trying to hide the knife) after the Thursday night incident. It all began, police say, when an ACS worker and a Cantonese translator arrived to the family’s house after an anonymous call alerted ACS the two children there, ages 7 and 8, needed help. The ACS team found the children were not in danger. But when the translator started giving the parents suggestions on how to keep the children cleaned up, police say the grandfather became irate with her. 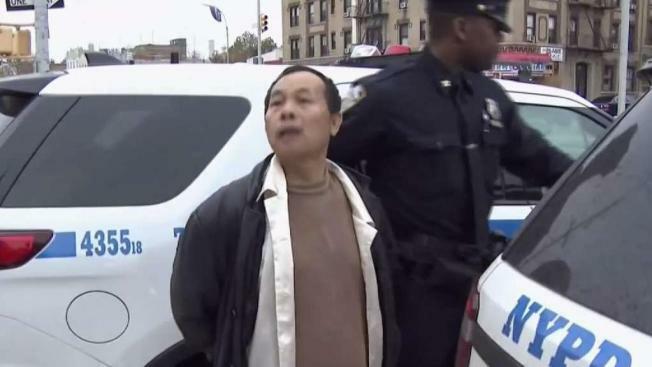 A 61-year-old Brooklyn man is under arrest for allegedly stabbing an ACS translator in the back after suggestions his grandkids may have been dirty. Katherine Creag reports from Brooklyn. He then allegedly stabbed her once in the back and once in the buttocks area. Paramedics rushed the 55-year-old translator to a hospital, where she’s listed in stable condition.